South Tottenham is on the eastern side of the London Borough of Haringey. The area is bordered by Tottenham to the north, St Ann’s to the west, Stamford Hill to the south and the River Lea to the east. All of South Tottenham falls within the southern part of the N15 postcode, including much of N15 6 and some of N15 5 and N15 4. Until 1999, South Tottenham was a ward of Haringey although the name was removed in a reorganisation. However the name remains in common use, and the local Overground station is called South Tottenham. 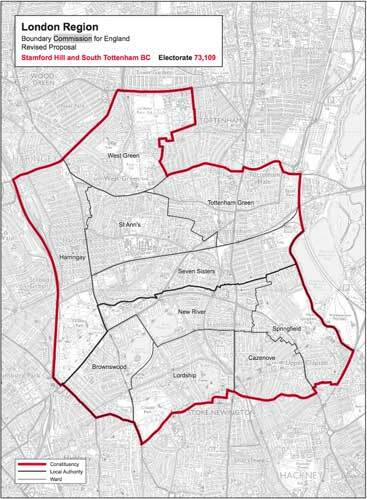 The Boundary Commission for England has recently proposed the creation of a new parliamentary constituency, Stamford Hill and South Tottenham. 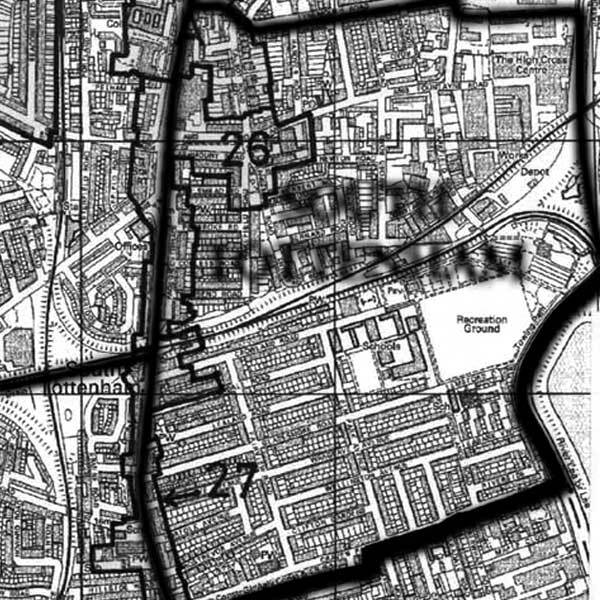 Tottenham as a whole is a deprived area, but detailed analysis compiled by Haringey council shows this picture is not true of South Tottenham: Summary of Tottenham Profiles – May 2012. South Tottenham shows lower levels of “multiple deprivation” than the rest of Tottenham, being comparable with further west in Haringey (op cit, Fig 2). Life expectancy is better, in fact it surpasses that of Muswell Hill or Stroud Green (op cit, Fig 12 & 15). The birth rate is high (op cit, Fig 24), but low birth weight – traditionally associated with deprivation – is lower than the borough average or the rate in Crouch End and Muswell Hill (op cit, Fig 24). The age of the population shows a high proportion of under 18s but a low proportion of over 65s (op cit, Figs 5 & 6). Green Lanes is in London’s Haringey borough, which has a population of 224,300, almost half of them ethnic minorities. The borough includes South Tottenham, an area researchers at University College London recently proclaimed the most ethnically diverse in Britain — and possibly all of Western Europe — with 113 ethnic groups living in it. My great grandmother was murdered in 34 St Georges Road, South Tottenham in 1921. Does this road still exist? Thanks.